Acura's RDX, the top-selling luxury compact crossover in the U.S. as recently as 2015, is undergoing its most extensive redesign in more than a decade as it squares off against a wave of new rivals. The 2019 RDX will be the first Acura model to be completely overhauled since designer Jon Ikeda took over as general manager of Honda Motor Co.'s luxury brand in 2015. The third-generation RDX will be revealed during the 2018 Detroit auto show in January, Honda Motor Co. executives said Thursday. The retooled RDX will be built on an Acura-exclusive platform and, for the first time, be designed, developed and engineered in the United States, Honda said. 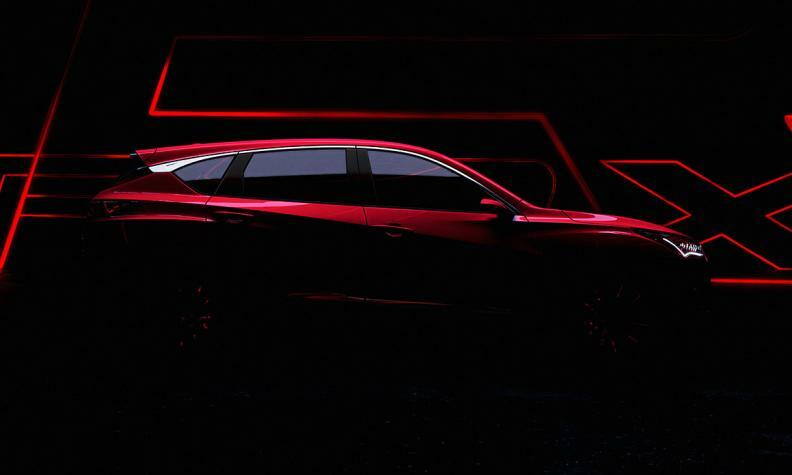 Based on a teaser image released Thursday, the RDX will feature a swept-back long hood similar to Acura's Precision Concept unveiled at the Detroit auto show in 2016. Elements from the Precision Cockpit concept -- introduced at the 2016 Los Angeles auto show -- will be featured on the RDX and consist of an entirely new interior, user interface and operating system. The premium compact crossover market has become increasingly competitive in recent years with new entries from Lexus, Infiniti, Jaguar and Alfa Romeo. The Lexus NX, introduced in late 2014, has rocketed past the RDX to top the segment in sales since 2016. U.S. sales of the RDX are up 0.2 percent at 46,487 this year through November. RDX deliveries peaked in 2016 with 52,361 units. U.S. sales in the compact premium crossover segment are up 6 percent this year, with overall light truck sales up 4.7 percent.